EZ Lite Cruiser Heavy Duty Review – Is the Deluxe DX12 Model the Best Mobility Aid? You become wiser with age which is a big plus, but there are some minuses too. Among them is the reduced mobility which is quite common. The good news is that this problem can be easily solved with a personal mobility device. But which are the best wheelchairs for elderly? 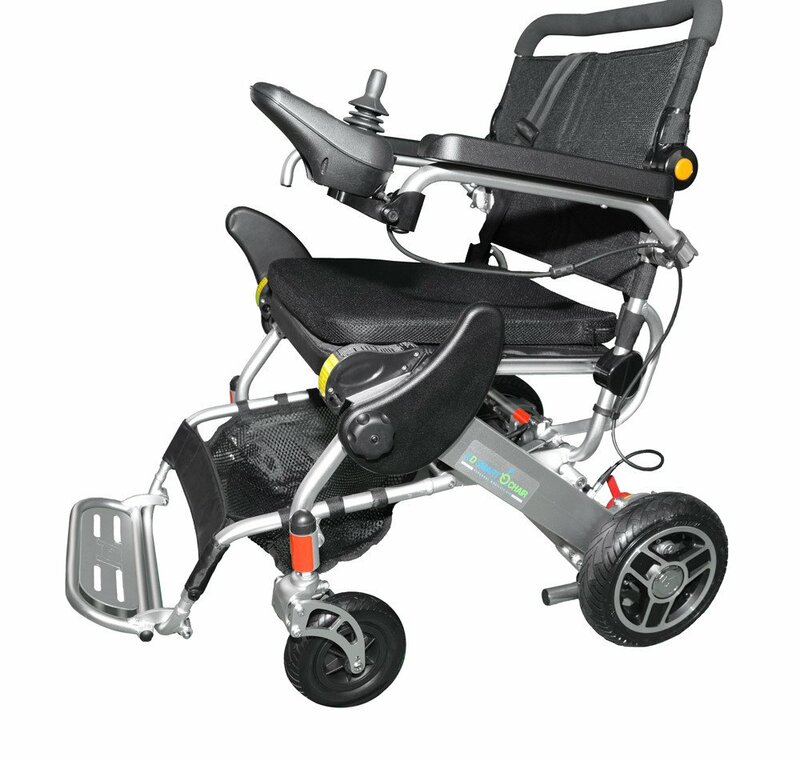 This electric wheelchair is the most comfortable to sit on. Making a buying decision can be quite difficult, given the abundance of models available right now. Take advantage of my research devoted to pinpointing the best wheelchairs for the elderly. Check out the models and read their reviews. I’ve evaluated them personally to help you make the best choice. This power wheelchair from CTM may seem big, but it’s actually quite compact measuring 42.5 by 24 inches. You may be surprised to discover that it weighs just 108 pounds, so it’s not hard for a caregiver to store. The model has the standard capacity of 300 pounds. It can accommodate those of us who are bigger with ease. All these factors make it one of the best wheelchairs for elderly, but there is more. 19-inch wide captain seat – It’s incredibly comfortable thanks to the cushioning. The backrest provides perfect support. Adjustable headrest – It enables you to relax while seated. It works great to help you get relief from pain in the neck. Padded flip-up armrests – They add greatly to the comfort of the wheelchair. Adjustable footplate – You can choose from three different positions, depending on your preferences. Generally, I wish the footplate were just a tad wider. 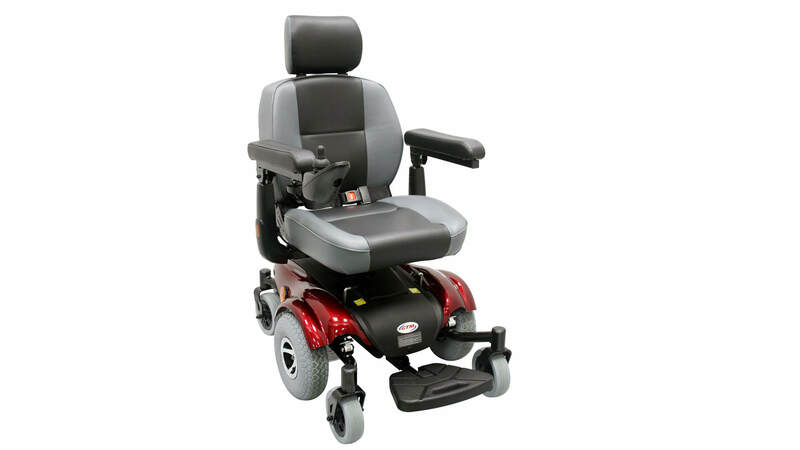 You would naturally expect excellent performance from the best wheelchairs for seniors and this model doesn’t disappoint. Thanks to its 10-inch drive wheels and 6-inch casters in the front and rear, it runs reliably both indoors and outdoors. You can expect top performance from the motor and transmission. The joystick is responsive and easy to use. The maximum speed of 4.2 mph is quite high for a model with such a bulky seat. This one of the best electric wheelchairs for elderly could be ideal for users whose top priority is the comfort. You can expect to feel great while seated. You can always clip the seatbelt for maximum safety, especially when going outside. The first thing which impressed me about this model was its compactness. It weighs 120 pounds which is not a lot for an electric wheelchair. More importantly, it folds effortlessly and takes very little space when folded. Given this, it’s easy to understand why this Accessbuy model is one of the best lightweight wheelchairs for elderly. You can take it anywhere with you when you go out around the neighborhood or when a caregiver drives you to a local event. Just keep in mind that its capacity is 220 pounds. 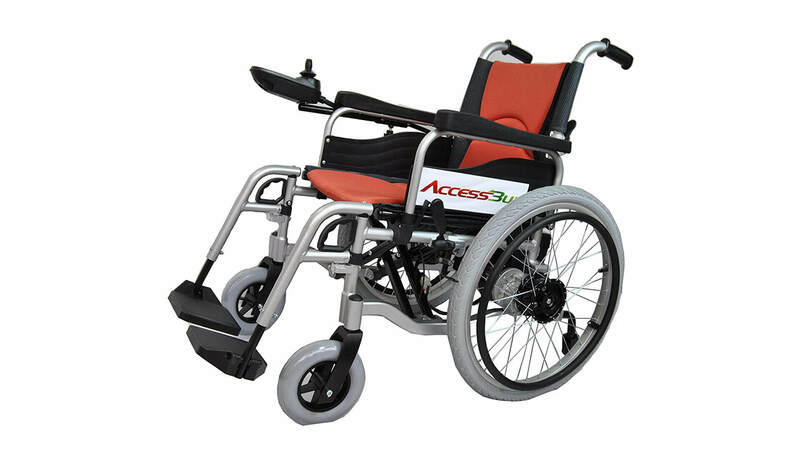 Aluminum frame – It’s strong and resistant to corrosion, giving the Accessbuy wheelchair great durability. 18-inch wide padded seat with backrest cushion – The seat is wide enough and feels very comfy. The backrest cushion provides additional support while being easy to maintain. Ergonomic armrests – These have outstanding ergonomics. Even your wrists can rest properly. Swing-away footrests – These make it convenient for the user to sit in the wheelchair. After this, it’s easy to adjust the footrests to provide the highest level of support and comfort. This Accessbuy model is among the best wheelchairs for elderly because it has everything necessary for a smooth and safe ride. The transmission does a fabulous job in delivering power from the reliably running motor to the drive wheels which are extra-large. The manual and electric clutches and the manual brake ensure that the mobility device is perfectly under control even when the terrain isn’t even. The drive wheels are not only large but also very sturdy and capable of handling all kinds of terrains. The turning radius of this wheelchair is 30 inches, so you can be confident that it turns tightly. While it doesn’t stand out with a particularly high top speed (3.7 mph), it has a very large maximum travel range – 12 miles. This one of the best lightweight wheelchairs for elderly could be ideal for you if you take trips often thanks to its compact size, low weight, and superb performance. This model has a standard capacity of 300 pounds while being fairly compact – it measures 33 by 22.6 inches. It can be disassembled for storage which is a huge plus. This doesn’t take a lot of time and effort. Both users and caregivers will be happy to learn that the largest component of the wheelchair weighs just 36 pounds, meaning the loading and unloading doesn’t require a great amount of physical power. Stadium-style seat – It measures 18 by 17 inches, so it’s sufficiently big even for someone heavier. What I like the most about it is the ergonomic design. You get the great support of your torso and legs. Padded armrests – They flip up easily in addition to providing comfort. Storage bins under the seat – There is one on each side. They open sideways, so they are super convenient for keeping all of the items which you need to have at hand. Large footplate – I appreciate the fact that it’s both long and wide. 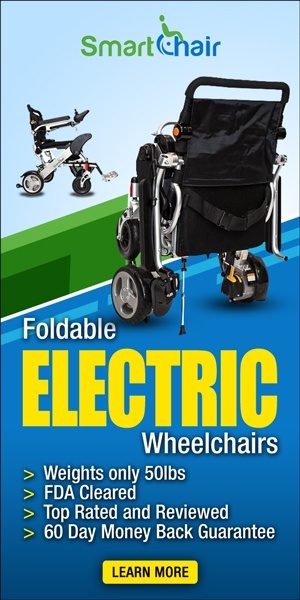 You can expect superb performance from this one of the best electric wheelchairs for elderly. The wide 9-inch drive wheels and the solid 6-inch casters enable Pride Go-Chair to ride smoothly even in areas with stone paving and gravel. This mobility device has flawlessly working motor and transmission. The turning radius of 25.4 inches makes it highly maneuverable, so you can be completely confident when your route has a lot of turns, even if they are sharper. The maximum travel range of 8.74 miles isn’t the largest, but it’s sufficient for users who don’t take lengthy outdoor trips daily. 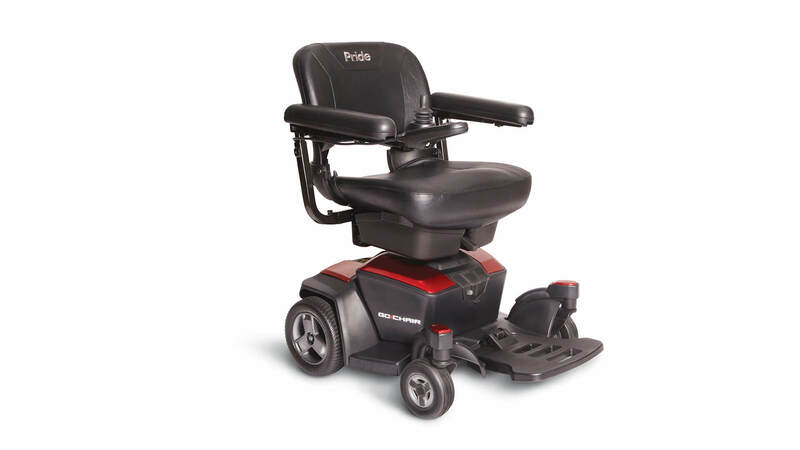 Pride Go-Chair is one of the best wheelchairs for seniors because it combines the most comfortable electric wheelchair with a compact size and dependable operation. It’s quite convenient to use and to transport too. Those who are older in age need a special wheelchair. If you are looking for a wheelchair for yourself, a parent, or grandparent, you need a chair that is easy to use indoors and outdoors. Having an elderly wheelchair for adult is key to keeping them safe on the road or in their home. Getting a wheelchair typically begins with obtaining a prescription for one from a physician. Typically this prescription comes from your family doctor or internist. These prescriptions are usually very different than a prescription for medicine. A doctor is usually non-specific in their instructions and typically puts down that you need, “a wheelchair.” Seeing as this is so vague and there are so many options the process is left wide open to pick just about any wheelchair on the market. There is a lot to learn when getting a wheelchair for the first time. There is a whole vocabulary of new words that you will start to hear and learn. Words like ADA (Americans with Disabilities Act), wheelchair accessible, quick release axle, and adaptation, will all begin to become apart of your vocabulary. It may be important to learn some of these terms ahead of time so that you can have the smoothest transition possible when it comes to buying your wheelchair. A good wheelchair evaluation team usually consists of the consumer, occupational or physical therapist, a rehabilitation technology supplies, and sometimes a rehabilitation engineer. On this team it is important that the focus is on the consumer. The consumer is the person who guides the direction of the evaluation team. The whole purpose of going through the evaluation process is to get it right on the first try. Where will I use my wheelchair the most? What will I do in my wheelchair occasionally? What kind of activity do I do everyday? How will I transport my wheelchair and myself? How much of the day am I in my wheelchair? It is important to work with a professional when buying your first wheelchair. When the professionals include you and the patient in the process there is a larger chance that you will have a better experience when purchasing your first wheelchair for an older adult. Including the older adult in the process and asking the professionals questions about the patient’s needs, goals, lifestyle, living environment, and how they plan to travel with or use their wheelchair is important. When you get that kind of full evaluation, you have the best chance at having a positive wheelchair buying experience. If you had this kind of positive experience when buying your first elderly wheelchair then, you are very lucky. Do not lose that phone number, because when you replace and renew the equipment you want to have that same excellent experience. Spending money to find the right wheelchair can be money well spent. Mobility services and products are expensive and complex. Insurance company only allow for replacement chairs every so often. This means you can be stuck with a bad buy for a long time. The good news is many insurance companies are starting to recognize the cost effective value of getting a good evaluation as part of your wheelchair purpose. You can prevent an additional disability like a pelvic or shoulder produce when you are working with a professional. Manual Wheelchair: Available in 16” and 18” widths, these chairs are made of steel and have swing away foot rests or elevating leg rests and a full or desk position. Bariatric Manual Wheelchair: These are heavy-duty chairs that support 300 to 450 lbs. They are made of steel and available in widths of 20”, 22”, and 24”. Lightweight Manual Wheelchair: These types of wheelchairs are typically made of aluminum and mesh upholstery to keep their weight down. They are lighter and easier to transport and are available all the way up to 20” in width. Ergonomic Manual Wheelchair: These kinds of chairs have seating and armrests that fit with the natural contours of the body allowing for a much more comfortable ride. They are good office chairs and are made mostly of aluminum. They come with a long list of options and are available in 16”, 18”, and 20” widths. Active Manual Wheelchair: Known as the sports car of wheelchairs, they are designed for movement. They are lightweight and easy to use. Specialty Chairs: There are wheelchairs that tilt in space, recline, and stand-up. They are usually built with a specific need in mind. Transport Wheelchair: Often advertised as inexpensive, this kind of wheelchair is designed to be pushed by another person and are typically used inside of hospitals. Power Standard Wheelchair: These kinds of wheelchairs have two motors that drive the mid or rear wheels, through a joystick mounted within reach of your hand. They have batteries, a charging system, and a large option list. 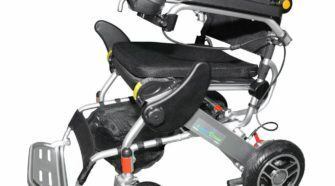 Power Programmable Wheelchair: Similar to the power standard wheelchair, these kinds of chairs are programmable. The programmer needs to come from the supplier and is custom adjusted to fit the user’s needs. Powered Scooter: These are 3 or 4 wheel scooters that have handlebars like a bicycle and a basket for carrying items. Rehab Power Wheelchair: These chairs are built to match someone’s specific requirements. Pretty much anything can be put on these chairs in order to benefit the user. It is important to note that wheelchairs for the elderly tend to be lightweight and are simple to use. Wheelchairs for older adults are usually foldable and not rigid. This is to allow them an easy way to pack up their wheelchair in the car so they can get around with their caregiver easily. Mobility: The chances are that as you’ve gotten older, your ability to get around has been affected. You do less, and outside activities have become less and less, resulting in spending more time indoors. Wheelchairs give you the freedom to get around as you please. The majority of wheelchairs are made to fit into tight and small spaces. This allows you the ability to move about your home more easily while still allowing you to have an active lifestyle that is comfortable. Independence: If you have a hard time walking you may frequently find yourself leaning on a caregiver or holding their arm while they walk alongside you. Feeling unstable when walking is a reason why seniors lead sedentary and inactive lifestyles. You may be afraid of falling in your home when you are by yourself. This kind of fear and anxiety can be the reason why you isolate from family and friends. A wheelchair is an excellent way to help that kind of situation. It will give you your independence back and you can be free to get around your home and surrounding outdoor areas as you please. You can start to enjoy your hobbies as well as other general activities that you might have stopped doing. Comfort: Wheelchairs provide back support and seating that is comfortable. This means you will be much more comfortable as you move around in your daily life. You have the ability to be comfortably seated with a strong support to encourage good posture. Increased Activities: Enjoying and going outdoors is a common activity that those new to a wheelchair look forward to the most. With a wheelchair you can explore the park trails, take pictures, bird watch, and even have a picnic at the park with your friends. You can go eat at all your favorite restaurants, shop at your favorite stores, travel, visit friends and family, go see a movie, and more. Wheelchairs are proven to provide the user with an activity filled lifestyle that typically equates to a healthier, happier and positive outlook on life in general. Better Socialization: With a wheelchair, you will have a newfound sense of freedom to comfortably and safely enjoy life. You may find yourself participating in more social activities, clubs, and events with friends with your wheelchair. Seniors who have previously been isolated without a wheelchair discover that they gain their confidence and mobility with a wheelchair and look forward to more social activities more often. With a wheelchair people find they have more mobility, comfort, freedom, and independence. Wheelchairs are very useful to senior citizens for this reason. Senior citizens find they discover the lifestyle they always wished for with a wheelchair. Seniors tend to look at getting a wheelchair in a positive light. Seeing your wheelchair as a friend is going to help your outlook on needing one. After all, your wheelchair is there to support your needs and be with you throughout your exciting daily adventures. A good thing to do is to personalize your wheelchair. You can do this by adding embellishments or colorful decorations to you. Covering your armrests with fabric is also a good way to liven up your wheelchair. Making it reflect your personal style is a good way to immerse yourself in the experience of owning a wheelchair. Other benefits of owning a wheelchair include getting discounts for some activities, events, and venues. Sometimes even movie theaters offer a discounted ticket if you have a wheelchair. Amusement parks are known to allow those in a wheelchair to skip the line and offer other neat advantages to the user when they are visiting the park. If you are going to a special event, inquire beforehand to find out if there are any specials offered to those in a wheelchair. These are a few of the perks that some wheelchair owners enjoy since they have gained their independence and mobility back with their new wheelchair. In all seriousness though, the benefits of owning a wheelchair as a senior citizen are self-esteem, independence, pride, and self-confidence. These are the benefits that money cannot buy and makes everyone feel emotional because it affects the way you live your life. You may have been isolated at one point in your home away from family and friends. You may have been scared to walk in your house alone. You may have isolated yourself among other unhealthy behaviors due to the lack of mobility. With a wheelchair you now have the physical support to live a more full life and gain a positive outlook on life in general. Your ability and needs will vary greatly from the next person. There are many combinations of wheelchairs and the trick is to find what is appropriate for you. Your caregiver is also important to consider when selecting a wheelchair. Buying a wheelchair can seem overwhelming, however, with this guide, you can be at ease knowing all there is to know about wheelchair buying. You want the best chair that will suit your needs and fit into your lifestyle with as few changes as possible. After all, getting a wheelchair is a major life change. No one envisions himself or herself in one, but if it is needed, then you want to get the right wheelchair for your needs. To make the best choice, you have to determine your needs precisely in the first place. Base your decision on how often you go out and how much time you spend outside. You should also consider which seat would be most comfortable to you, especially if you have any conditions affecting the spine, joints and/or muscles. Performance is naturally a key factor too. 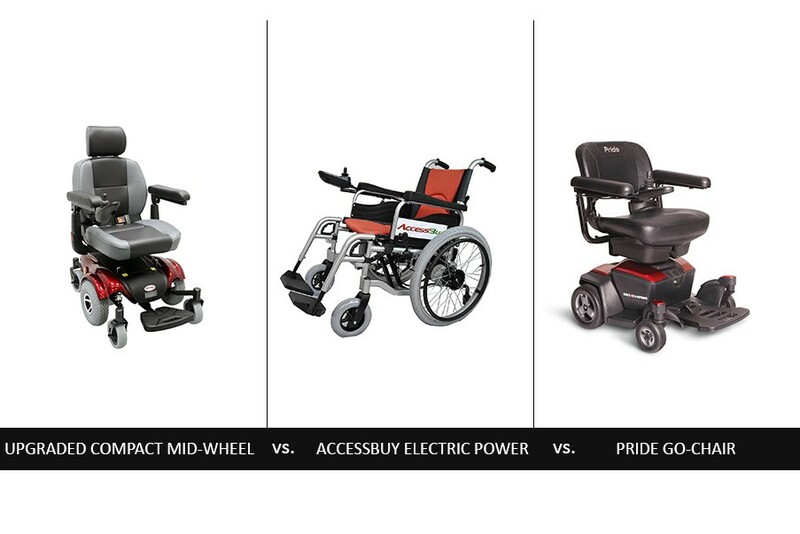 Lastly, when choosing between the best wheelchairs for elderly, visit Amazon for extra details and user reviews.